She was hiding the saddest secret. Five years have passed since Aan, a wild orangutan, was discovered clinging to a tree on a palm oil plantation on the island of Borneo. Hopefully, the experience has become a dim memory for her, because it was nothing short of traumatic. 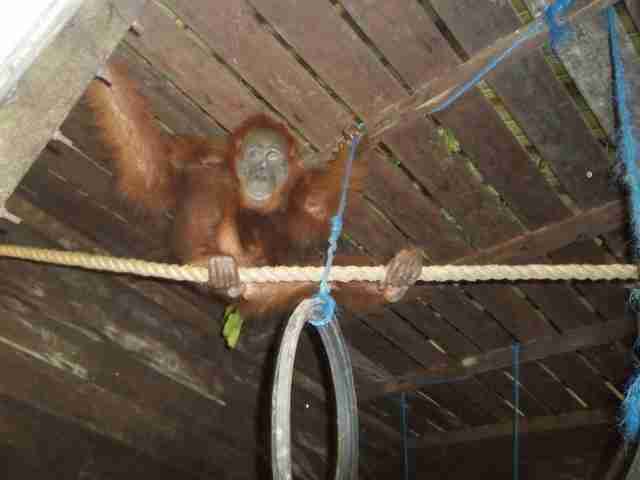 She was obviously injured, and rescuers discovered that she had been wandering the plantation for about a month, probably disoriented by the lack of natural jungle habitat where orangutans thrive. And what rescuers discovered inside her body sent a clear message about the conflict between the people on the plantation and the wild animals in the forests surrounding it. 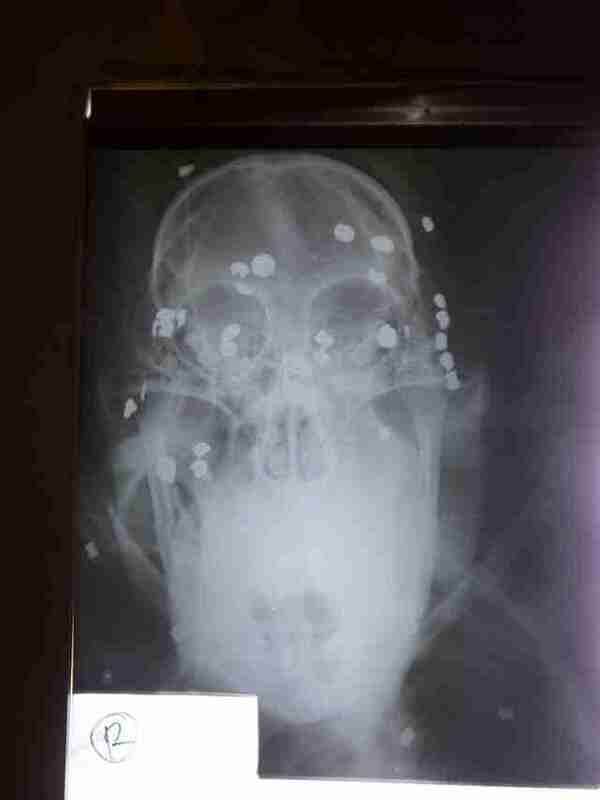 Aan had been shot more than 100 times by an air rifle. 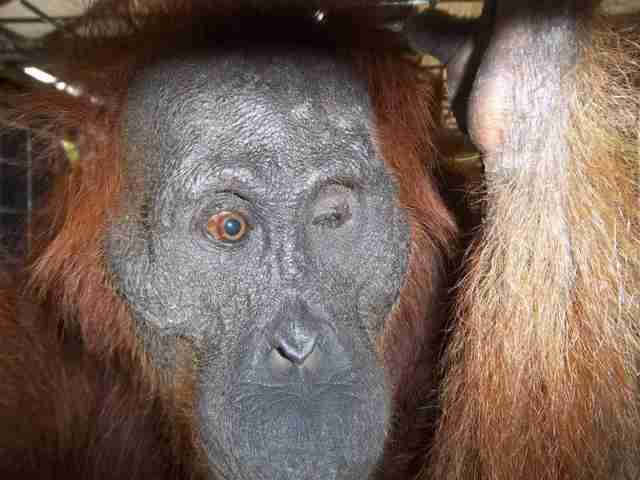 The pellets that struck her face caused her blindness. Last year, Aan was given a special surgery to see if her sight would return, but her optic nerve was too damaged for her to ever see well enough to survive in the wild on her own. 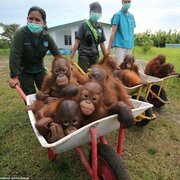 So the people at the Orangutan Foundation's veterinary clinic gave Aan lifelong sanctuary, which means they could be caring for her for another two decades. 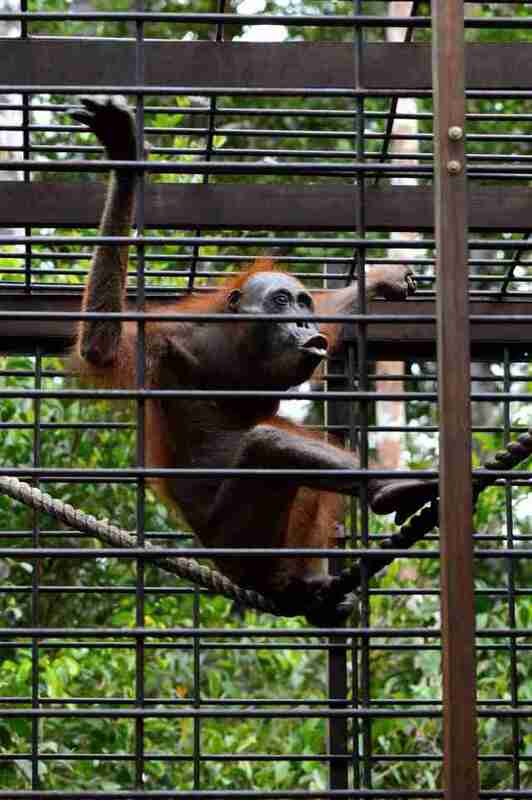 Even though Aan will never fully recover from the trauma that changed the course of her life, people are hopeful that her story can have an impact on how people perceive orangutans and their plight. To help save these critically endangered animals, you can make a donation.